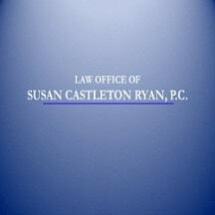 The Law Office of Susan Castleton Ryan, P.C., has proudly served the legal needs of Plymouth County and surrounding communities since 1993. Our office focuses on all matters within the Probate Court including issues related to children such as custody, visitation and support. When you work with our office, you will have a team of experienced professionals ready to do what it takes for you. Our lawyers and support staff work closely together as a team on each and every case. This enables us to address each client's concerns and needs in a timely manner. Our office is conveniently located on Bedford Street, Route 18, Abington, Plymouth County, MA. The office is open from 9:00 A.M. to 5:00 P.M., Monday through Friday. Ample parking is available behind the office building.